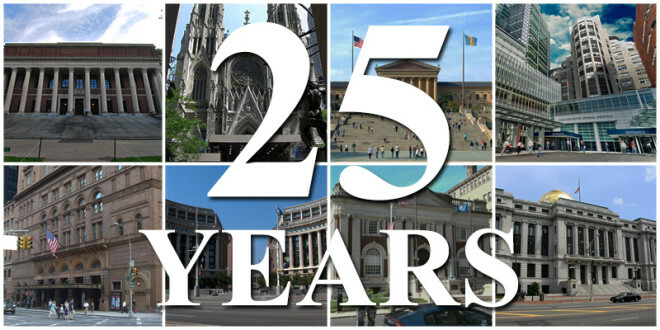 American bird control company, BirdMaster, is proud to celebrate 25 years of protecting the nation’s architectural and historic treasures from pest bird infestations. The company started in 1989 and has proved itself to be a solid business though the years, as it survived many economic ups and downs. With its unique systems, proprietary materials and installation methods, BirdMaster has redefined bird control. It is the harmless, environmentally-friendly approach, together with its understanding of the psychology of birds, that brought the company to work on; bridges, stadiums, hospitals, museums, hotels, office buildings, theatres, and retail establishments, just to name a few. Over the last quarter-century, BirdMaster has built a rich portfolio which includes: The Statue of Liberty, Philadelphia’s Independence Hall, the National Cathedral in Washington, DC and a legion of other prestigious and historic landmarks. “If the bird deterrence work is visible from street level it’s not a BirdMaster installation”, says John Pace, President of BirdMaster. That’s a major reason why the company is an award-winning provider of humane bird deterrent systems and now with their new consulting service they are planning to go even further.